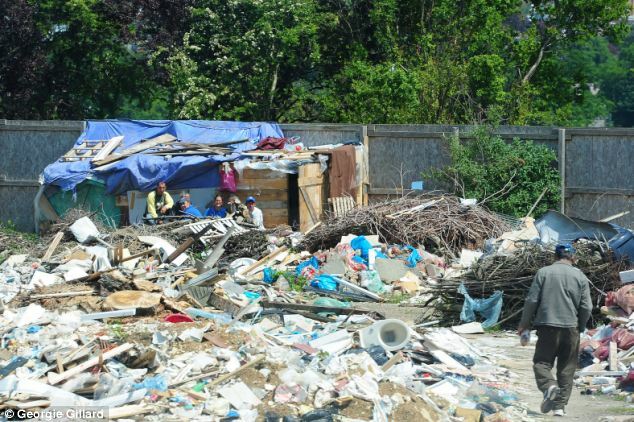 They could be scenes from the Third World as families eke out a living in makeshift shelters amid the filth of a rubbish dump. But the extraordinary photographs were taken at the site of a former football ground in a leafy London suburb. 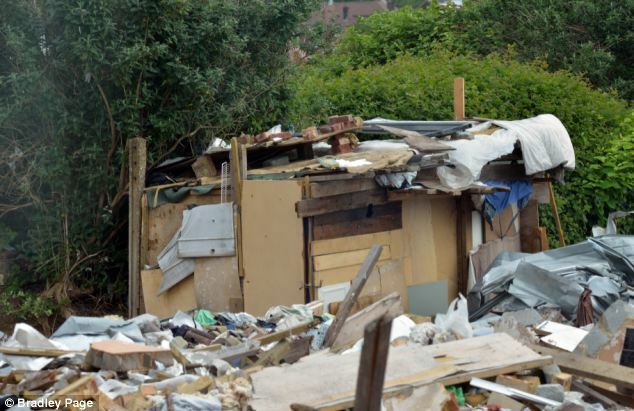 More than 50 Romanians are living in ramshackle huts made from waste wood, rubble and plastic – just yards from playing fields and £400,000 family homes. 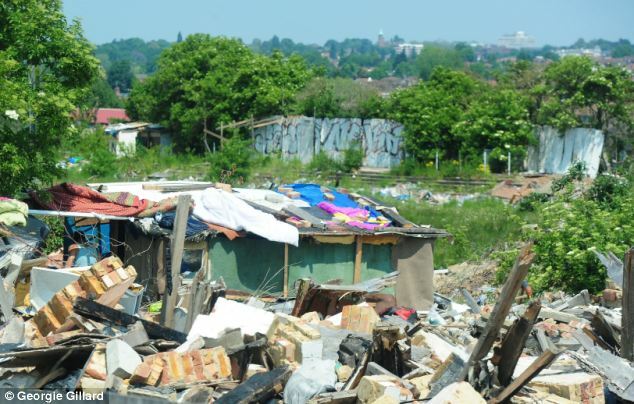 For more than two years, migrants from the Transylvania region of Romania have been travelling to the site in Hendon as they find work in the capital. 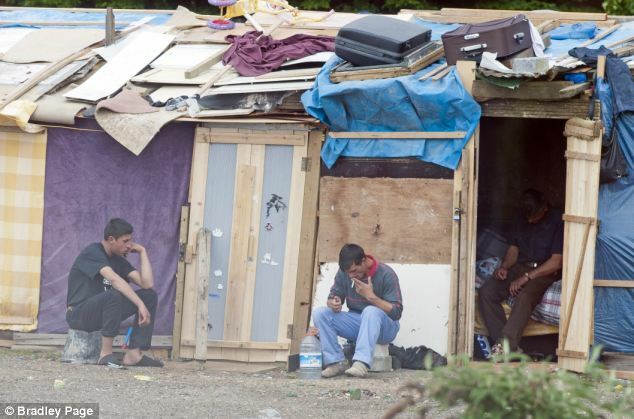 They have forced gaps in a 10ft fence around the site – ignoring warning signs in Romanian – to make their home in the camp despite it having no running water, electricity or sanitation and being next to ever-growing piles of vermin-infested filth. They scavenge in the rubbish for clothes to wear or for things to sell to buy food. Britain is expecting an influx of Romanians – and Bulgarians – when they are given free access to our jobs market in January. Ministers have refused to put an estimate on how many will travel here but campaign group MigrationWatch says it could be 50,000 every year for five years from 2014. Tiberius Bokor, 26, lives in a 6ft by 12ft ‘home’ with his wife and four others. He comes from Brasov in Transylvania and earns about £40 a day as a labourer while his wife, Brittany, 26, who is the only woman in the camp, earns about £30 a day at a car wash.
‘We knew about this place before we travelled to Britain,’ he said. ‘We came a week ago. When I got here I built this shelter in a day. I am here because I can earn more than I can at home. ‘I came here for eight months last year and I think we will be here now for three months. We are always coming back and forth. Mrs Bokor sends most of her wages home to the couple’s two young sons, who are living with family in Romania. She said: ‘We have no fresh water. We can use the water in the park to bathe and wash clothes but we go to Tesco to get drinking water. She said the council should do more ‘to make this place safe’ and accused the police of ‘hassling’ them. Their shelter is split into three areas each with two mattresses. Upturned buckets are used as seats and clothes are kept in bags hung on nails in the wooden walls. Mrs Bokor, who keeps in touch with her children through Skype, said the council had asked if any of them wanted to go home. Gus Bodur, 49, was involved with Hendon FC, who formerly played at the site, and still lives nearby. He says it’s ‘heartbreaking’ what has happened to the ground. ‘The club used to be an important part of the community,’ he said. 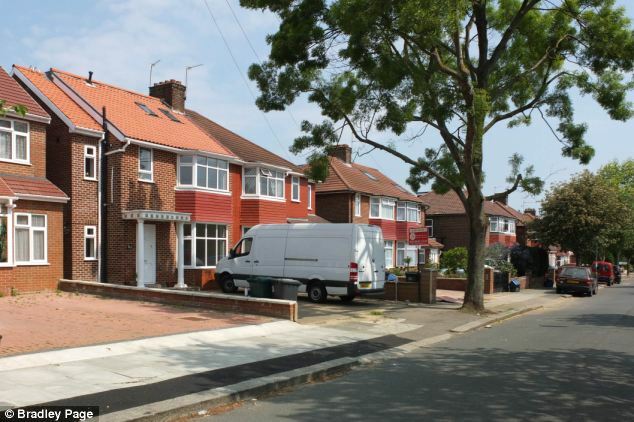 Barnet Council sold the site to developers last year but still owns the freehold. Legal challenges over its sale have held up development.